Survivors: The Quest® - Three air passengers find themselves stranded on a secluded island after a plane crash. But soon they discover the island is not as isolated as it seems. Strange buildings, an old laptop and other findings suggest that the island was used for some sort of scientific research. But who was behind it? And what else is the island hiding? Help the survivors get along, avoid starvation, unravel a startling mystery and make their escape. Playing as each of the three characters, you will have to take care of their well being, caring for their Comfort, Hunger, Stamina, Fun, and Friendship levels in order for them to be able to explore the island and fulfill quests. Find and use objects to solve puzzles, collect and cook food, find your way through the jungle, and complete collections to earn amazing bonuses that help the characters keep their energy levels high. Hurry to this gorgeous but unsettling island to rescue the three survivors now! ● Explore beaches, lagoons, jungles and mountains on a beautiful tropical island. ● Play three unique characters. 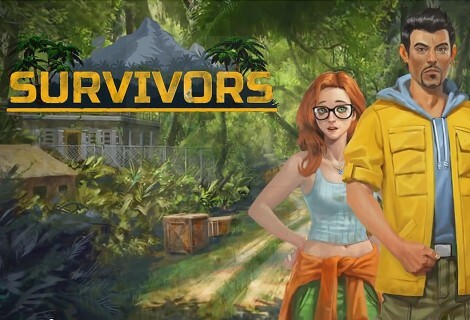 ● Manage each survivor’s Stamina, Hunger, Fun, Comfort and Friendship levels. ● Solve a thrilling island mystery before you can bring the survivors home. ● Stay entertained for months thanks to hundreds of quests and collections. ● Look forward to regular free updates with exciting new content! - install and play the game.